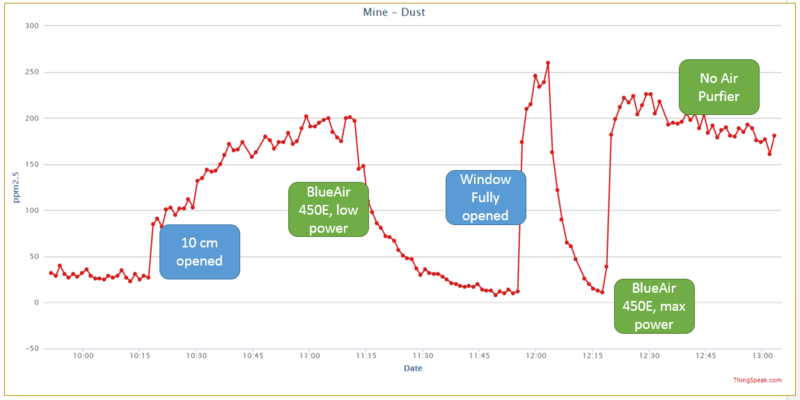 In this post I will share my experience with measuring Dust Levels using my vThings Dust Monitor in my home city Sofia in Bulgaria and using my two Air Purifiers – BlueAir 450E (450 eur) and Xiaomi Air Purifier 2 (160 eur). Due to lot’s of factors (city is in a valley, less wind during the winter, heating is predominantly coal-based) we do often get pollution levels above 300 ug/m3, with an agreed daily average below 50 ug/m3. Long time I was living with the assumption that as long as windows are closed, the dust will eventually settle, regardless to the outdoor pollution level. Once i started measuring using my Dust Monitor, unfortunately it turned out that i couldn’t have been more wrong. Tale a look in the below chart. It illustrates dust levels measured in a 12 m2 room. Several scenarios have been measured one after the other, on the chart above. 22:00 – within two hours, dust levels are <40ug/m3, but now i decrease power to 50%, to reduce noise. 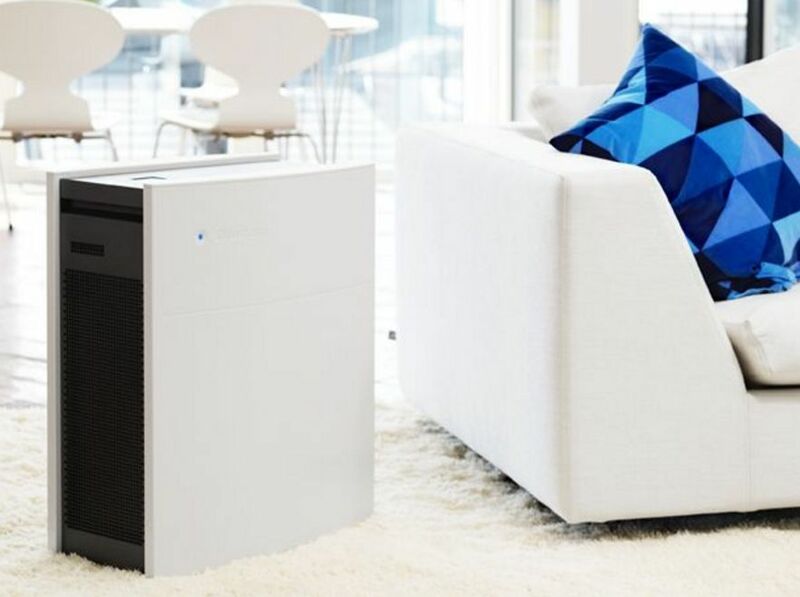 Another interesting alternative is the Xiaomi Air Purifier 2. It costs 130 Eur (i even got a promotion for free shipping with DHL) 30 eur import fees, so totals at 160eur. For now i do not have charts with it (i got it two days ago, and now the air is clean 🙂 ). But in the first run, it was also able to purify the whole apartment (decreasing from 150 ->50, with outside pollution >400 ug/m3). It comes with a nice mobile app, so that you can control it remotely. It also measures pollution levels. (have to still verify how correct they are). It is ~3x smaller than the BlueAir. So at full power it had hard time to clean up the whole apartment, and coudn’t decrease to lower than 40ug/m3. It is also quite nosier at full power. But the benefit is that it can be controlled from an app, so in fact- you can turn it on 2-3 hours before you come home and let it clean the air. Once the air gets polluted again i will post some details about it.